The story of the 20th and 21st centuries is one of rapid technological advances. In the last 30 years especially, progress in personal computers and microchips has progressed at an exponential rate, and things aren’t slowing down. A report from the Computing Technology Industry Association found that 46 states had net increases in tech jobs in 2015 and that the tech industry now accounts for 7.1% of the U.S. GDP. As it grows, tech is transforming every industry around it, including the housing market. Here are four technological advances that are making their mark on renters, homeowners, landlords, and developers alike. Also known as additive manufacturing, 3-D printing has broad application in housing. Using 3-D printing, it’s possible to build an entire home in under a day. Plus, additive manufacturing allows for easy customization. And since it’s possible to “print” only the materials needed for construction, 3-D printing cuts down on waste. The majority of new buildings aren’t the product of 3-D printing. But as the technology improves, it could have vast implications for architecture and design. Will structures built by 3D printers be sturdier than traditional wood and concrete buildings, since designers can “print” reinforcing materials like carbon fiber into the walls? Will creative architects and designers use the technology to push the boundaries of traditional building design? Only time will tell. For several years, drones have been used on construction sites. They’re useful tools for surveying construction sites and are sometimes used to guide heavy machinery. Insurance companies use them to check out hard-to-reach areas of buildings for damage or needed repairs. Increasingly, unmanned aerial vehicles are part of the process by which rents are determined. Traditionally, building permits are the way commercial real estate agencies track construction. But according to a CNBC report, CoStar Group has found a new way to monitor construction: military-grade drones. With a drone, companies like CoStar have more immediate and dynamic access to real-time construction information. The drone allows them to see where new properties are being built, and how fast — which allows them to better understand the rental market’s balance of supply and demand. Virtual reality is useful for both customers and developers. 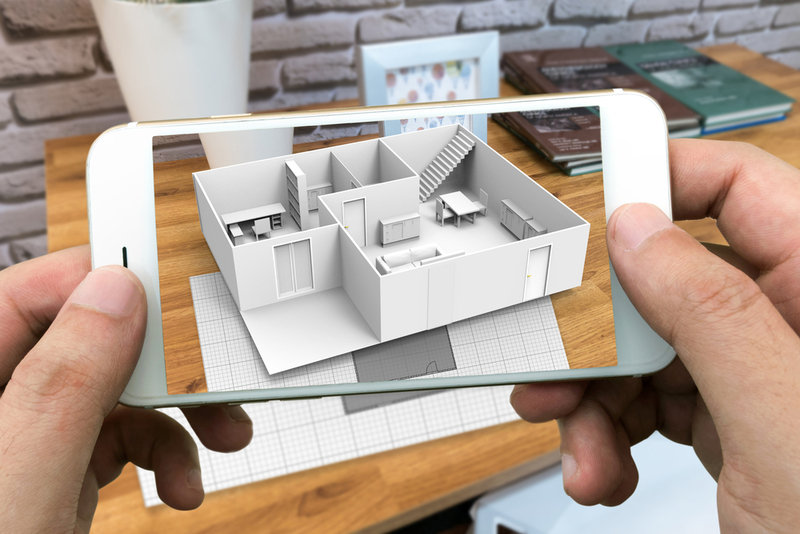 It’s especially beneficial for architects and designers, who can use augmented reality to interact with a fully immersive environment as they design it. On construction sites, VR can help workers better visualize the structure they’re building, as well as quickly introduce them to changes in plans and new instructions. As for consumers? VR has obvious benefits for potential homeowners allowing them to interact with fully immersive models of their prospective new home. Some companies use technology such as, Matterport, to allow prospective homebuyers to take 3-D tours of properties— no headset necessary. Who needs a tour, if you can do it from the comfort of your own couch? Smart devices have become a big hit for consumers on the higher end of the rental and homeownership market. Whether it’s adjusting your home’s lighting or temperature, setting alarms and monitoring security, or regulating your home’s energy usage, to your home’s temperature, security, alarms, outlets and more, smart devices grant consumers a greater degree of control over their living spaces than ever before. It also increases efficiency and lowers energy costs — a win for both consumers with bills to pay and developers hoping to minimize the environmental impact of new construction.